A while back I contemplated on wether or not I should buy the Betrayal at Calth box as well as which legion I should do. At that time I quickly dismissed it..
..but then I started my tzeentch warband for Path to Glory and the thoughts of a little 30k project ‘re-surfaced. So after making a deal with a friend who also only wanted half the box we bought that together. I took the Word Bearers part. Then I happened across someone selling a lot of 30k for a proper bargain so I got hold of some 2nd hand EC terminators and a squadron of jetbikes. Sweet! With these as a base and my bits boxes and newfound confidence in my sculpting skills I felt this would happen in due time..
…I was very hard to convince.. 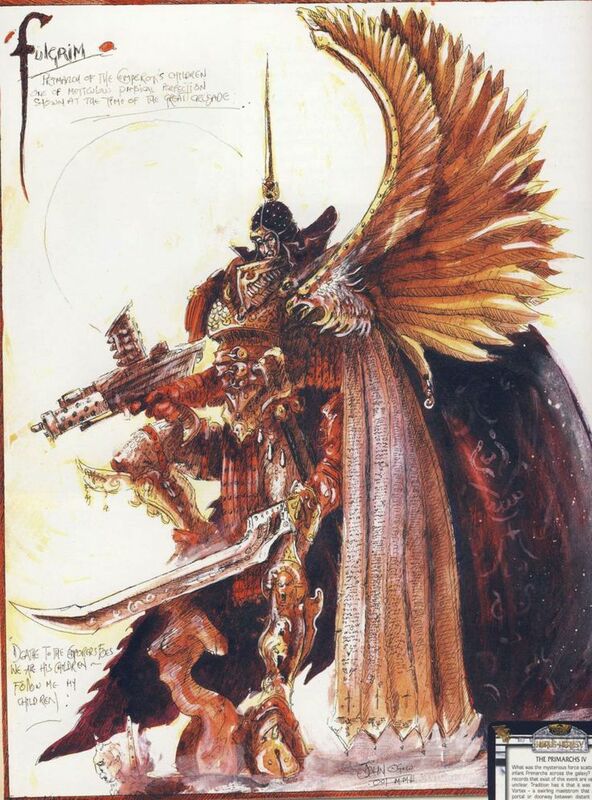 So what will be inbound is a post-Istvaan Emperors Children warband of degenerates wielding sonic weapons. I hope you don’t pronounce it like the MiniWargaming guys online! :p drives me nuts. My friend has a heavy squad of the Kakophoni too, he just proxies them as Lascannons or RLaunchers in 40k. Sweet looking models! I’ll go for custom ones though. The guys at MWG pronounce it just how that looks. Rather than ‘car-cough-o-knee’. Makes me whelp when im painting! Looking forward to seeing the III Legion’s finest, in all they’re messed up glory! My best mate twisted my arm (figuratively), so I totally caved with Calth as well recently. Definitely with you on that one. I tried to quit several years back. I was clean for three, thought I’d kicked it. Then my mate (the same one that recommended Calth) showed me his first Imperial Fist true-scaler. It wasn’t long before the old habit kicked in to fifth gear. What’s worse, I’d have it no other way! I agree. Over my 24-25 years in the hobby I’ve had several long pauses but each time I fall harder and deeper into the hobby. Now it’s unthinkable not doing any hobby. Maaan I’m stoked! can’t wait to see what you whip up! Cheers 🙂 I will continue in the path of the messed up and strange be assured of that. Thank you, I hope it will live up to the expectations – I’ve got huge ambitions for this project.